Full HD 1080p Video By NM2255: Monza Speed Day 26/02/2012 Italian Style. The crazy tunnel is back with even more burnouts and entertainment! More Videos... Speed Day: CRAZY Tunnel Cars BURNOUTS and LAUNCHES Vol. 10 Full HD 1080p Video By NM2255: Monza Speed Day 29/01/2012 English Style. 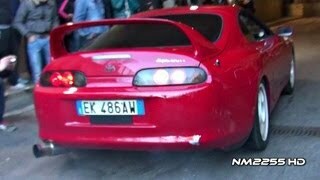 Video Discription: Full HD 1080p Video By NM2255: Monza Speed Day 26/02/2012 Italian Style. The crazy tunnel is back with even more burnouts and entertainment! Full HD 1080p Video By NM2255: Monza Speed Day 26/02/2012 Italian Style. The crazy tunnel is back wi..